In September 2016 we started development on a math game in which the world famous cat Garfield takes center stage: Garfield’s Count Me In. 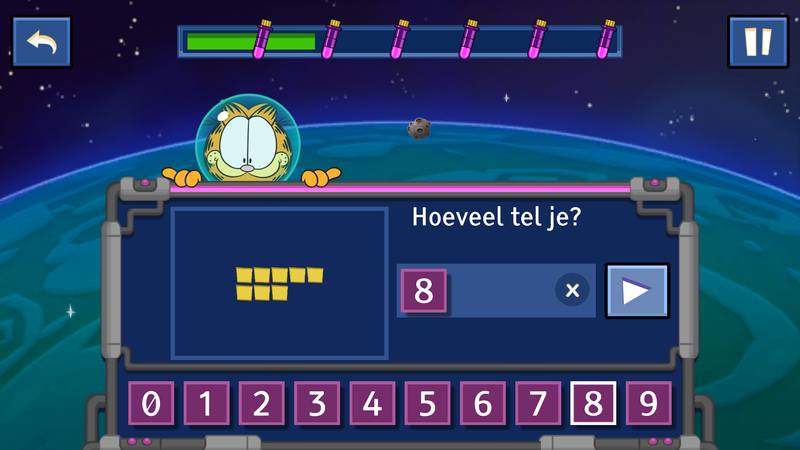 This brand-new Garfield game helps children in (special education) primary school to practice their arithmetic skills both at home and at school. The idea for creating the math game comes from Ate de Boer and Marjon Huisman from Rekengames B.V. They envisioned a math game based on the ‘Rekenmuurtje’ (Math Wall). The Math Wall contains different types of exercises or ‘bricks’, which together form the foundation for a new layer of exercises. The theory behind this is that students first master the first layer of exercises before moving on to the next layer. If they wouldn’t master the first layer they would encounter problems when attempting more advanced exercises. This learning method was developed by education councilors Wolter Danhof and Piet Bandstra specifically for children who have difficulty with arithmetic. Both councilors are involved with the development of the math game Garfield’s Count Me In. While the children play the game, parents and teachers can track their progress through a dedicated dashboard. Using the dashboard teachers can gain insight into the performance per exercise at both class and individual level. Parents can see the performance of their own children on an individual level. Garfield have been kidnapped by evil space dogs! Garfield will not let this slide and decides to free his friends. He jumps into his space ship and travels to the planet where the evil space dogs have brought his friends. On this planet, Garfield gets followed by wondrous creatures with numbers on their belly. Soon Garfield discovers that these creatures can help him to find his friends. How? Simple: by solving math problems! Each child learns in their own way and at their own pace. The game takes this into account by dynamically matching the difficulty of the math exercises so they perfectly match the player’s skill level. Is the child ready for a new challenge? Then they join Garfield in his space ship to explore the rest of the math universe and discover other planets. Each planet offers new math exercises and the time challenge is raised step by step. 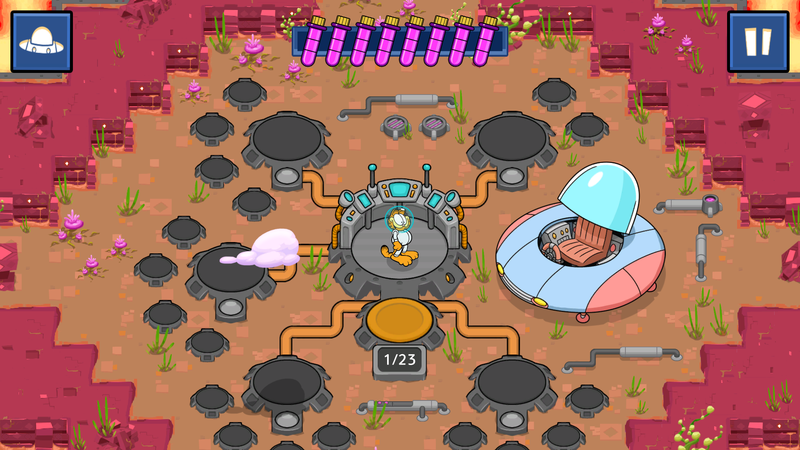 The player wins the game when all planets have been explored and all Garfield’s friends have been set free. 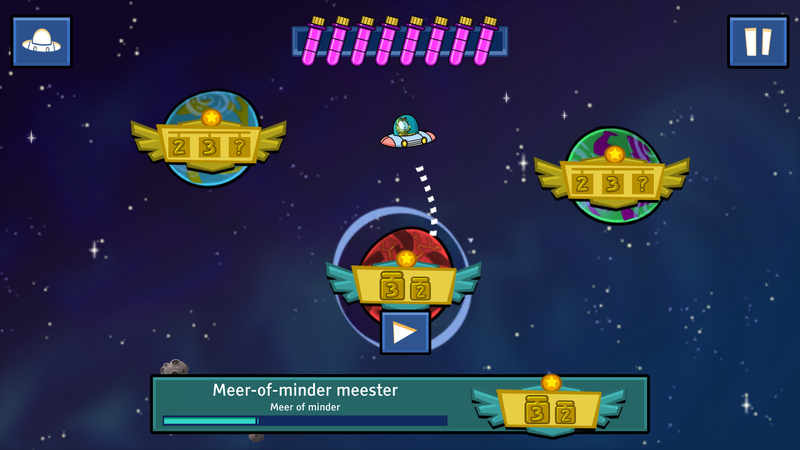 The game is developed by Grendel Games in collaboration with education councilors Wolter Danhof and Piet Bandstra. Our client is ‘Rekengames BV’. 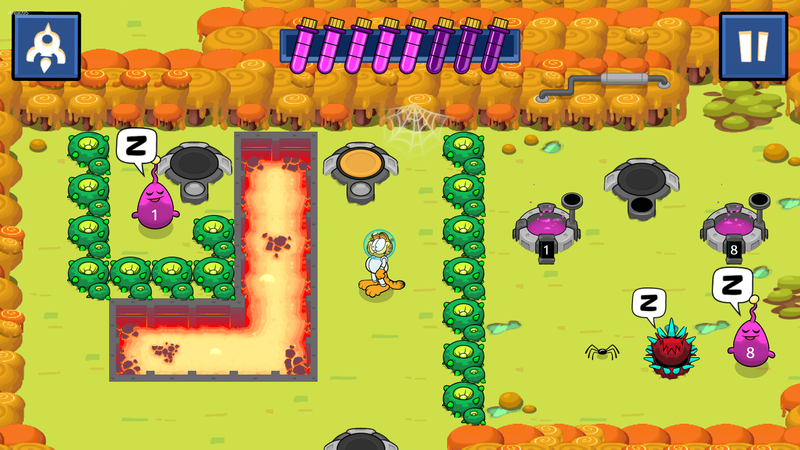 Grendel Games has permission and is licensed to create serious games containing the Garfield character. Garfield’s Count Me In is scheduled for release on the Dutch market in the Spring of 2018. After that the game will be prepared for an international release. If you want to know more about the Dutch version of Garfield’s Count Me In, please contact Ate de Boer of Rekengames BV via email a.deboer@effectiefonderwijs.nl or call +31 6 21 83 65 47 . If you want to know more about the international version of Garfield’s Count Me In, please contact Jan-Jaap Severs of Grendel Games. Garfield also promotes a healthy lifestyle!